To date, the character Ryu has appeared in every video game in the Street Fighter franchise. Along with Ken Masters, Ryu was one of the two main characters in the original Street Fighter game released in 1987. Ryu's trademark costume is a ragged karate gi. 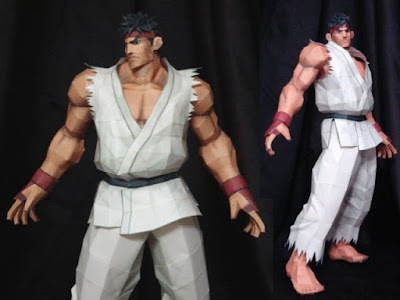 This paper model of Ryu was created by Coturno Velho Papercrafts in 2011. A download of the template for the model is available here. Build photo by Sinsis. Who says learning can't be fun? This printable pop-up papercraft dollhouse was created by the Konica Minolta company to teach kids about things they can do in their house to help prevent global warming. 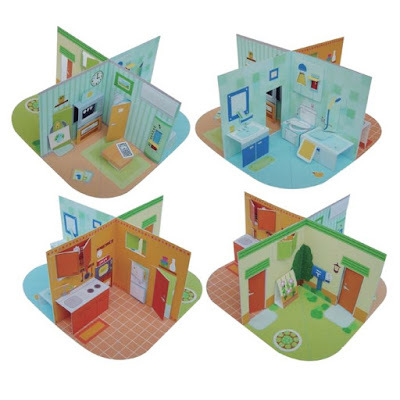 Each of the four rooms in the dollhouse is a separate PDF download available at the Konica Minolta website. Although the instructions are in Japanese, the excellent photos allow one to build the dollhouse without knowing the language. 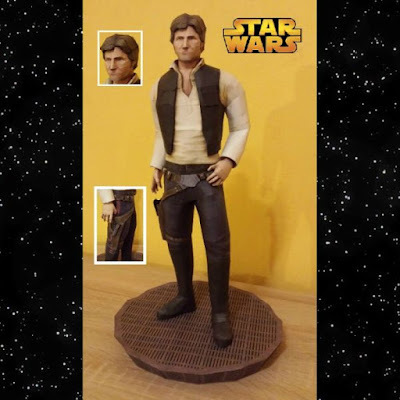 To the delight of Star Wars fans everywhere, Han Solo will appear in Star Wars: Episode VII, the next movie in the Star Wars franchise. 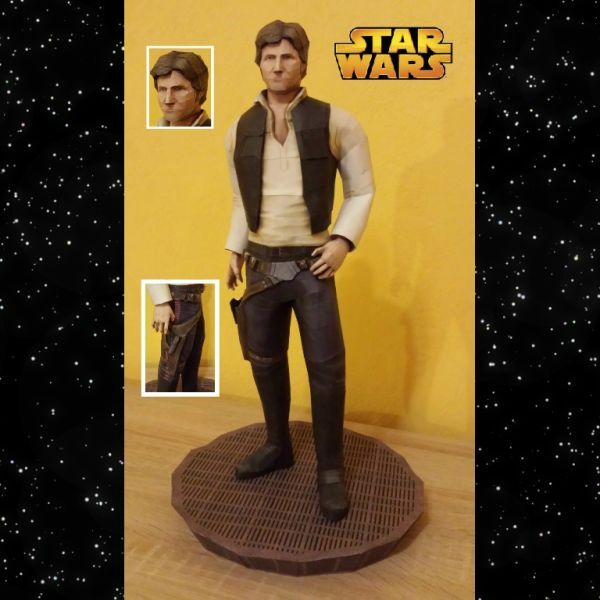 As if in anticipation of the coming film, this paper model of Han was created by DeviantART member Stange1337. The finished model stands about 16.5" (42 cm) tall. A download of his papercraft template is available here. Episode VII is scheduled for release in December 2015. 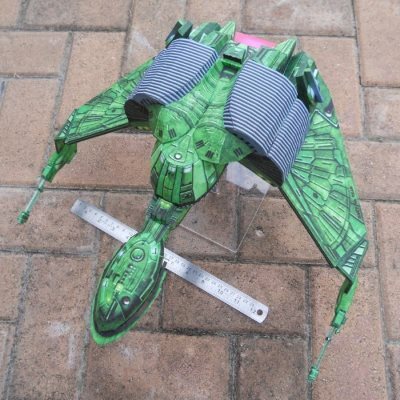 These delightful paper models of the Decepticons Starscream, Skywarp, and Thundercracker actually transform into F-22 Raptor fighter jets. The Decepticons, of course, are the mortal enemies of the Transformers. 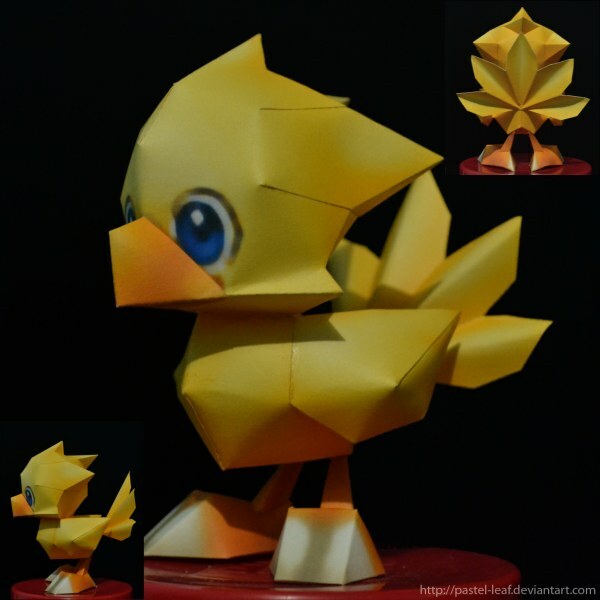 The templates for these paper models were created by DeviantART member Tom062 who based the designs on a model he found "deep in the recesses of the Internet". Downloads of the templates may be found here. Build photos by CJM99. "The origami artist must resolve seemingly impossible technical challenges because of the restrictions of the square of paper and the unwritten rules of origami (not to cut, not to glue, not to decorate). These limitations have stimulated remarkable solutions: in other words restriction yields richness." 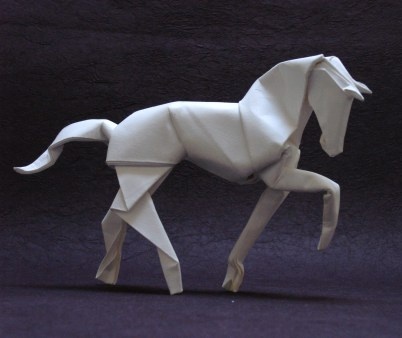 This origami horse by Brill elegantly illustrates the richness of which he speaks. Free PDF folding instructions for the horse may be downloaded at Brill's website. The Mexican red-kneed tarantula is native to the deciduous forests of southwestern Mexico. Red knees live in burrows in the soil for protection. Their burrows also provide a hiding place for them to ambush prey. 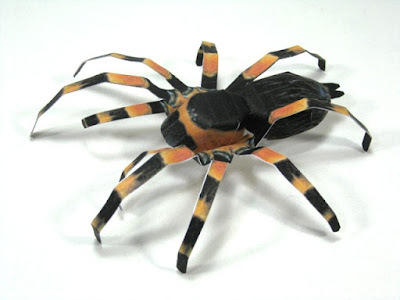 This papercraft tarantula was created by illustrator Patrick Pasques who recolored a paper model of an Indian sapphire tarantula he produced for a papercraft book featuring endangered animals. A free download of the template for the spider in the photo may be found here. Word is that 20th Century Fox is releasing a Deadpool movie in 2016! Since the anti-hero's introduction at Marvel Comics in 1991, Deadpool's popularity has grown in leaps and bounds. 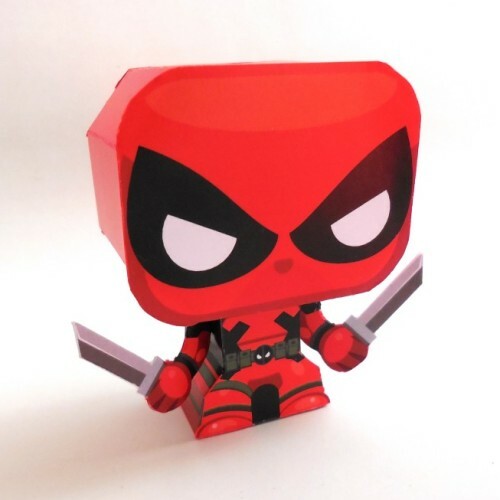 This mini papertoy Deadpool was designed by Gus Santome in 2012 as part of his ongoing series of Marvel characters. The template for the toy maybe downloaded here.